South Trail Hyundai is the first store in Canada built from the ground up to Hyundai's “Global Dealership Space Identity” specifications. The unified design theme will eventually be used in all Hyundai dealerships worldwide. 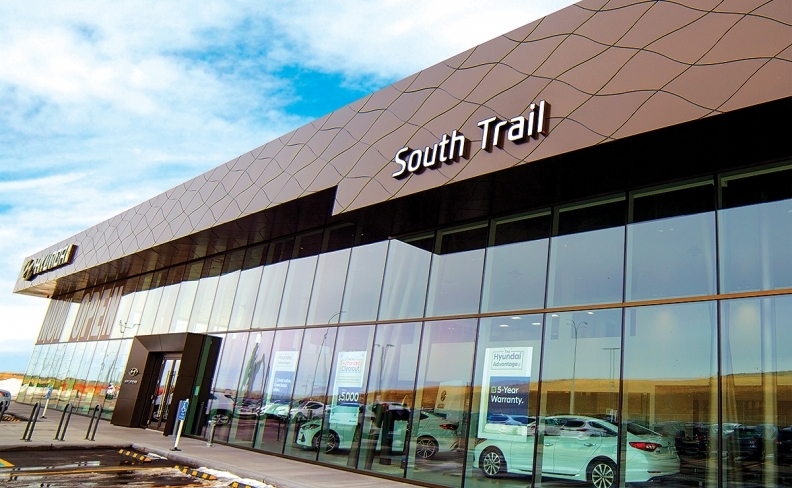 CALGARY — Building for future growth and banking on a recovering economy, McManes Automotive Group has opened South Trail Hyundai in Calgary. 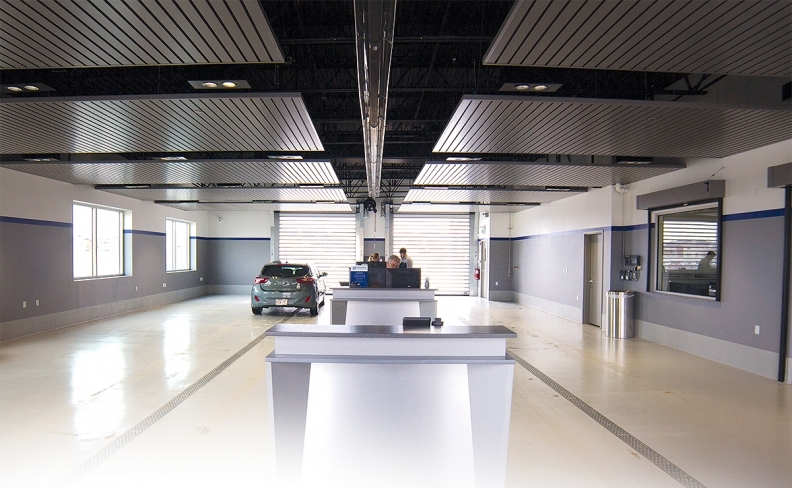 It’s the first store in Canada to be built from the ground up entirely to Hyundai’s Global Dealership Space Identity, a unified theme that will eventually be used in all dealerships worldwide. It covers 47,500 expansive square feet (4,400 square metres) of floor space. “We’ll be a volume store and we’re willing to invest now to be ready for the future,” said Mike McManes, vice-president of McManes Automotive Group. The group’s dealerships span eight brands across four provinces, but this is its first Hyundai store. “Hyundai has some great products today and great stuff coming in the future, and if you build the products the customers will come,” McManes said, adding that the company is discussing a possible Genesis store as well.